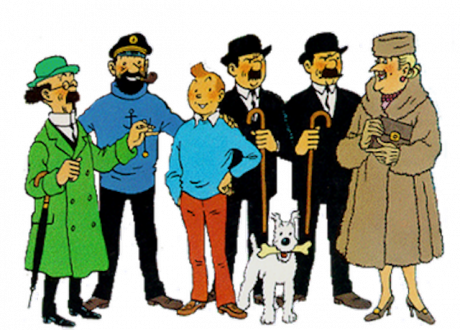 Tintin and main characters of the comics series. Wikicommons. By Source (WP:NFCC#4), Fair use. There is a journey into normalcy that all scandal must make before it can be dealt with. In political terms, the sprawling and intricate detail must be remade as manageable arguments. In social terms, these arguments must be elegant enough to find their way to dinner tables. A balance must be struck in which people are not so stunned as to be neutralised but are stunned enough to demand that things be otherwise. This is the endeavour of Oliver Bullough in Moneyland, an investigation of tax evasion and corruption that seeks to make a case for new thinking on the cold, numerical crimes and rule-bendings that threaten the ability of a modern state to function as anything worth holding remotely dear. In a story that often reads like the meeting point of investigative journalism and Tin Tin, Bullough scours Caribbean islands for the buildings behind the brass plates, but also visits Ukrainian cancer treatment facilities unable to treat the sick because the body of the institution is itself riddled with corruption. Even without the dedication to his children, it frequently comes across that the author has set himself the big, noble task of a book to wrest the future on to a better track. For all the gravity of such an undertaking, Moneyland remains steadfastly cheerful. Metaphors (sometimes a little mixed) involving oil tankers make light work of explaining the Bretton Woods system, and Bullough takes the writings of Ronen Palan (Sol Picciotto is absent in the mentions) and then uses a James Bond plot to explain the Eurobond market from which so much offshore financing grew up. Despite occasionally indulging the tendency of a comfortable person to patronise their younger self for actually believing the world could be different, the book has in it a childlike energy, a determination not to be cowed but to get to the bottom of the issues and find there a clearer understanding. The richest eight men now own half of all the world’s wealth, in an era of inequality at levels last seen at the time of the French Revolution. As part of this quest we meet a Christian fundamentalist in Reno, Nevada, invoking hardship to explain why he sets up shell companies for a living, no different to the small island states who justify their tax policies likewise. Teased into the background of the book is the fact of a world where the richest eight men now own half of all the world’s wealth, in an era of inequality at levels last seen at the time of the French Revolution. Within this, a part of Bullough’s service – straightforward but of no small value – is to make clear the extent to which our entire financial system has been coopted. Aware that the struggle to take it back gets harder with every euro, peso, dollar, yen, rouble, pound or yuan that is vanished away from society, Bullough is also valiant in exploring where alternatives might now lie, and how we reach them.